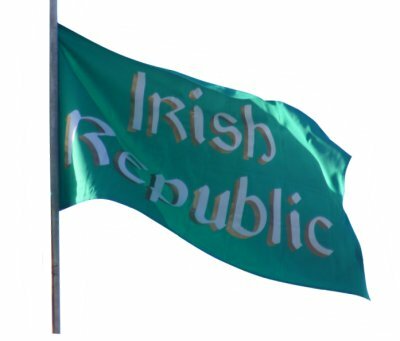 The best-known flag of the Easter Rising is a green flag with the words Irish Republic on it. This flag was flown from the General Post Office in Dublin during the 1916 Easter Rising. + Irish Republic flag, size: 150x90 cm (3'x5'). + Material: polyester. For indoor or moderate outdoor use. + With brass eyelets and double stitched for extra strength.